Let’s talk about the future of the MacBook Pro line of notebooks. What are some of the faults of the most recent refreshes, points of stagnation, and where to leap forward. Personally, I’ve owned several MacBooks and PowerBooks over the last fifteen-plus years so I speak with a passion about this venerable line of laptop computers. Though my criticisms may be harsh, I come from a place of love and respect for Apple’s design choices and attention to detail. Now on with where I would like to see the MacBook Pro lead Apple’s portable PCs into the future. More RAM. Among the first of low hanging fruit that Apple could address with the MacBook Pro laptop is the current cap at 16GB RAM. Enough for the vast majority of people but high-end professionals ask for yet more. And It doesn’t remove anything from the experience by having 32GB as an option. Bezel free display. Many competing pro laptops have migrated to a truly panoramic bezel free type of display, much like the iPhone X did for smartphones. A thin bezel framing an infinity screen on a MacBook would be pure joy. More screen canvas on a thinner body with less bezel would really bring the MacBook Pro into minimalist territory. Face ID. Again, like the iPhone X, a MacBook Pro would break into new territory by replacing the Touch ID of the Touch Bar equipped MacBook Pro with Face ID and the advanced True Depth camera system. It would make unlocking and making Apple Pay purchases on the laptop even more trivial and secure. Face ID boast a higher level of security than Touch ID and makes for a cleaner hardware experience by being able to eliminate one more button. That’s an old Jobs and Ive rib at an Apple mission to declutter buttons when possible. Thinner. Advancements in logic board, CPU, and cooling tech, tiered batteries that don’t have to be uniformly square, USB-type C consolidating a plethora of legacy ports into one, and further refinements to the uni-body aluminum metal process should make for a MacBook Pro that grows ever closer to the wedge design language of the fading MacBook Air. Dongles. A long time ago Apple would not be afraid to drop dongles that wide swathes of the user base could come to depend on. 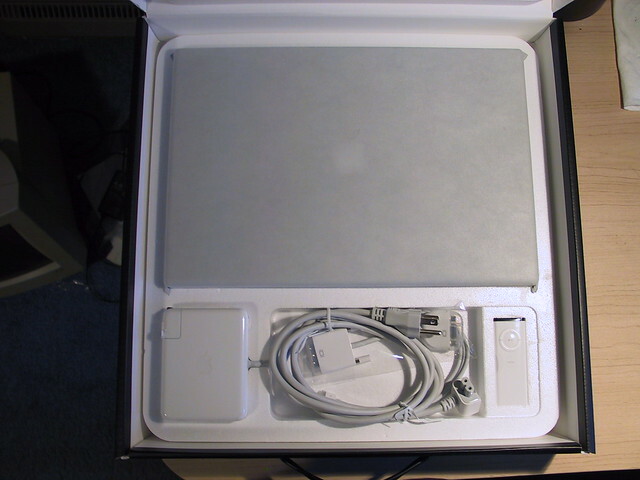 The sleek Power Mac G4 DVI-only came with DVI-to-VGA adapters. More than one if I recall correctly. Early aluminum body PowerBooks that ditched full DVI for mini-DVI and a smaller, thinner profile included a mini-DVI to DVI adapter because the expectation of the experience of buying a nearly $2000 computer wasn’t sacrificed for the appearance of being nickel and dimed into another trip to the Apple Store. And that is where the MacBook and the so-called “dongle hell” is. Apple leaned into Dongle Hell by swapping ports (an improvement), excluding the adapters from the box (a trend reversal), and increasing the price of the dongles (downright egregious). They’ve since lowered prices for a limited time, but I can’t help but feel that the lesson was not learned by the company from the backlash. Just put a USB-C to USB adapter in the box, it cost pennies to do until your own iPhone includes a USB-C cable in its box. When Apple dropped the MacBook Pro with Touch Bar it was obvious that Watch tech was being fused with the Mac to blend what the watch is great at and the Mac. Vivid and responsive touch control augmenting the Mac. 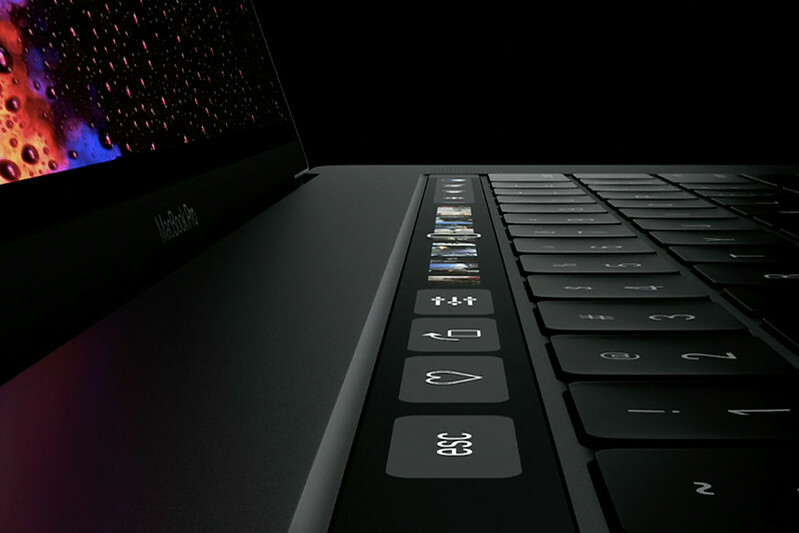 An obvious outgrowth from this restrained action limited to macOS and upgraded apps to expand Touch Bar. How so? Replace the whole keyboard. Recently Apple has taken chances with the keyboard going from the beloved PowerBook style keyboard to the “chiclets” keyboard to the slimmer USB-C MacBook styled chiclet keyboard that’s migrated to the Pro. With Touch Bar being added as a replacement for the often-underutilized Function keys, the expansion is all but inevitable for the future MacBook Pro. Think about the Nintendo DS and its dual screened progeny. You will open up a MacBook Pro and be greeted by two high resolution screens. A possibly non-touch one as usual up top while below will be what essentially looks like an iPad or iPad Pro. On this large glass typing surface there will be a full keyboard (dynamically shifting to any international standard) with Function keys and emoji, and impressively have haptic feedback from the Apple Taptic Engine (a first in a laptop and notable omission from the Watch drive MacBook Pro of today). It will come alive in professional music editors and video production apps. The experience will that of a keyboard tailor made for the app at hand. The glass typing surface will accept handwriting from your Apple Pencil and function as the largest trackpad in creation. As easy and logical as it is to predict a dual screened MacBook, it’s harder to fathom but still predict a reversal in the practice that Apple has immerse the MacBook Pro with performing upgrades and repairs. Today no MacBook of any variety has upgradeable RAM, and some allow the internal storage (SSD) to be upgraded. The replaceable SSD are of a nonstandard format rather than the M.2 format the PC industry has coalesced around. On the whole memory is generally soldered into the computers permanently and cannot be tampered with my end users or technicians. It would be an obvious improvement to the MacBook line up to extend the lives of computers to allow for later expansion with standard user-upgradeable SODIMMs and technician upgradeable SSDs in the format of the slim M.2 PCIE-speed cards. Allowed if not for user pleasing longevity than for concerns for our environment being polluted by still functioning hardware.